Rob Parsons is a bestselling author who has travelled widely across the UK and around the world, sharing his own stories of the ups and downs of life and faith with over a million people at live events over the past 30 years. 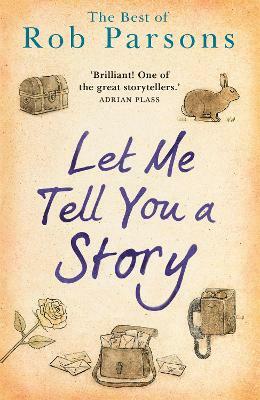 Let Me Tell You A Story brings together some of the very the best of these stories - heartwarming and challenging tales that make up a compendium of insights on faith and family, love and loss, money and priorities, dreams and goals. Rob Parsons is the bestselling author of THE SIXTY MINUTE GRANDPARENT, TEENAGERS! and THE SIXTY MINUTE FATHER. He speaks internationally on family issues and is the Executive Chairman of Care for the Family, a charity committed to strengthening family life and helping others who are hurting due to family breakdown. Care for the Family, launched by Rob in 1988, is a registered charity and its work is motivated by Christian compassion. The resources and support it provides are available to everyone, of any faith or none. Rob lives in Cardiff with his wife Dianne. They have two adult children and four grandchildren.